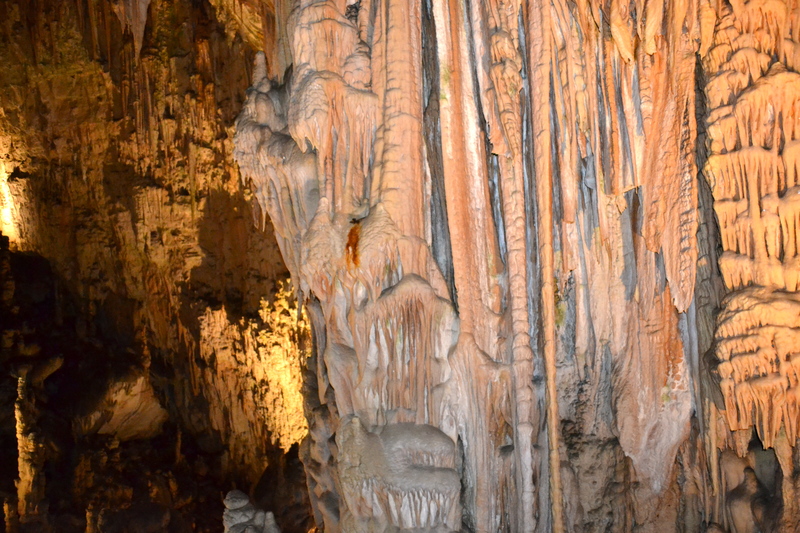 About an hour away from Lake Bled is Postojnska Cave. The cave is huge and a guided tour takes you through roughly 5 kilometers of underground passageways (2 kilometers of that is by train). 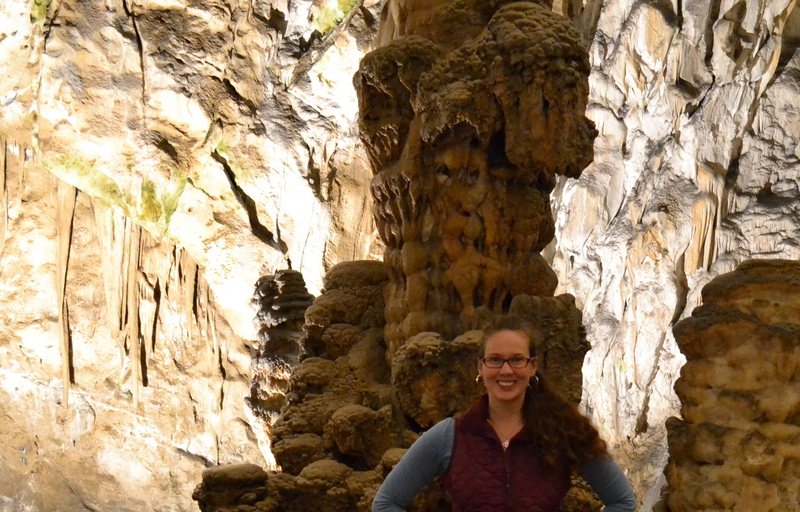 We could not take flash photography in the cave but I had my trusty tripod so most of my pictures came out OK. On the way into the cave you have to pass through an admission building with warnings and signs asking you to please not pee on the stalagmites. I don’t really know what to say about that. 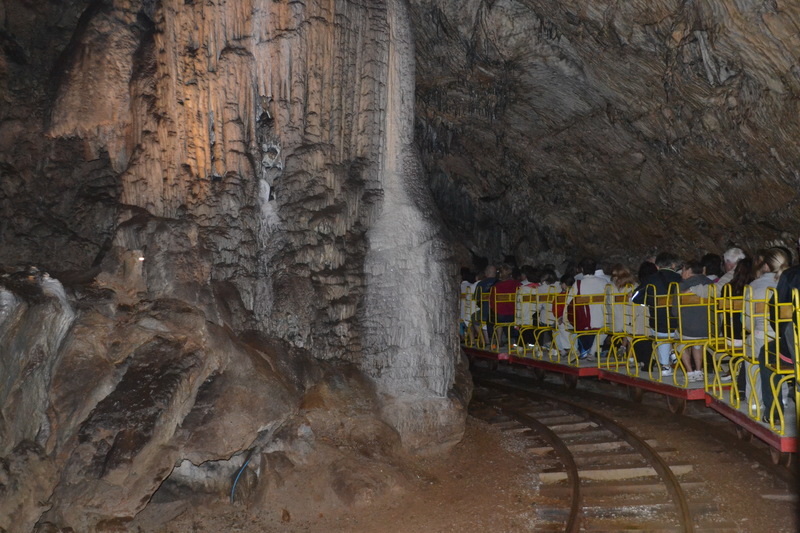 Once you are through the entrance building you are loaded onto a small train that takes you deep into the cave. They carved out just enough room to let the train pass through some tunnels and there were a few times when I was trying to take a picture that I almost slammed my camera into a rock wall. Here is a quick geology refresher for anyone not currently working as a cave explorer. 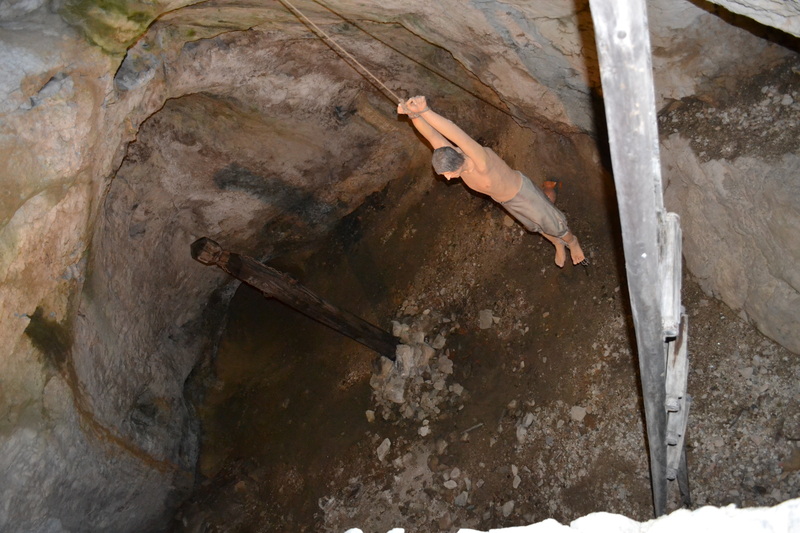 Stalactites are the formations that hang from the ceiling of the cave, and Stalagmites are the formations on the ground of the cave. 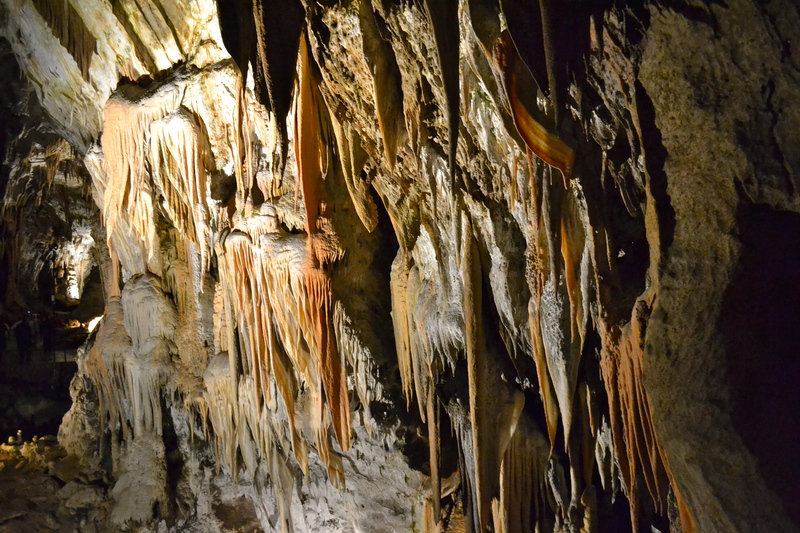 An easy way to remember is that Stalactites have to “hold tight” to the ceiling and Stalagmites have to “have a lot of might” to push up from the ground. If you just rolled your eyes at that little play on words I don’t care because I promise that you will still remember this information in ten years. Something about the long thin white strands hanging from the ceiling creeps me out. They look like something out of an alien movie. I think the red tinted formations were my favorite and this picture does not do them justice. 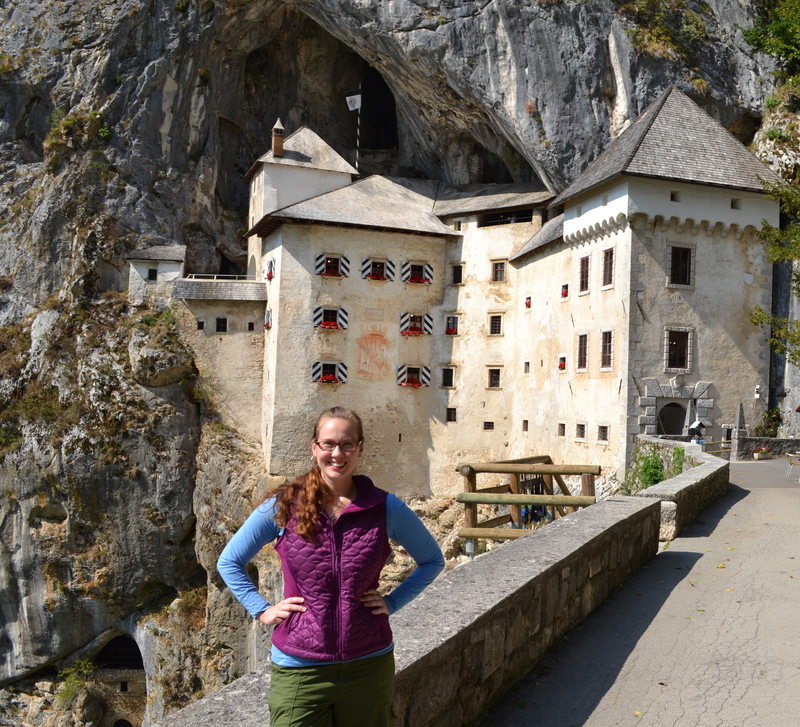 After I visited the cave I drove about ten minutes down the road to visit Predjamski Castle. 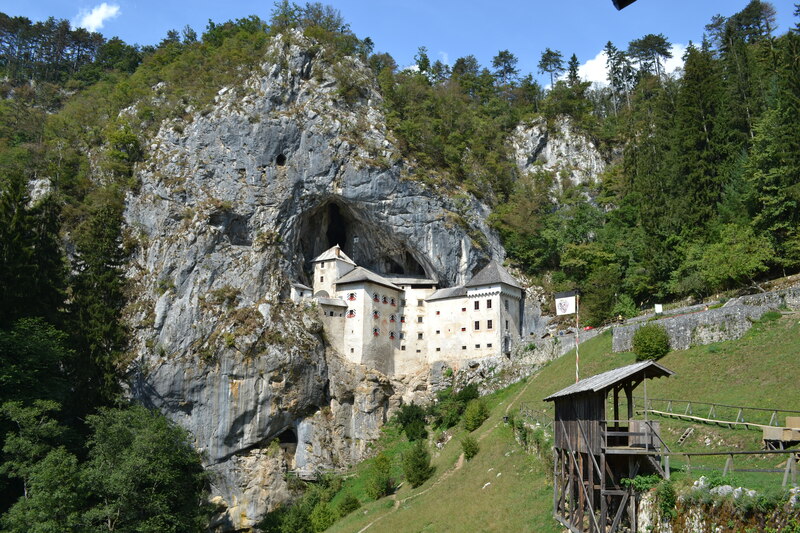 According to the brochure I was given, Predjamksi literally means “in front of the cave” because the castle was built into a cave to provide maximum protection for its residents (and escape routes through passages in the cave, which eventually link up to the passages in Postojnska Cave). The outside of the castle is pretty cool looking so I had big hopes for seeing the inside of the castle. Can you see how excited I am? The inside of the castle was a little disappointing. 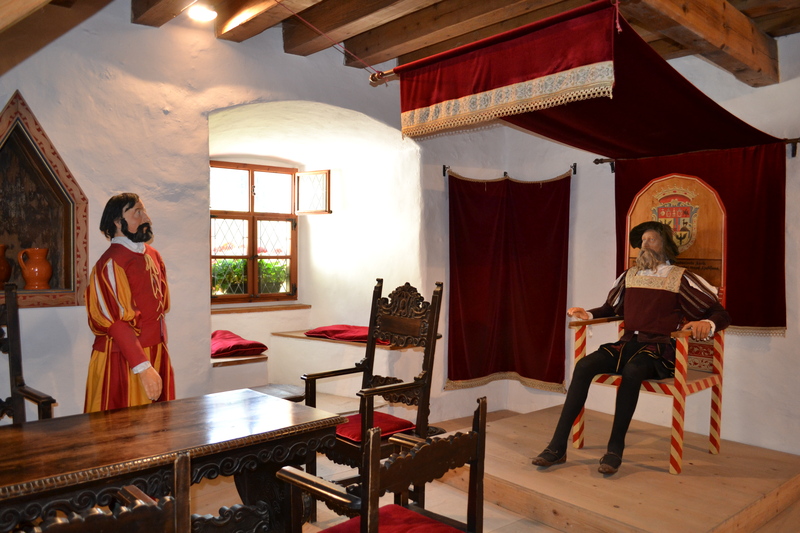 It is pretty much empty except for a few rooms with some unconvincing wax figures trying to look nonchalant. And it is not even creepy empty, the renovators put in modern tile floors so it is just boring empty, like walking around in someone’s empty apartment. 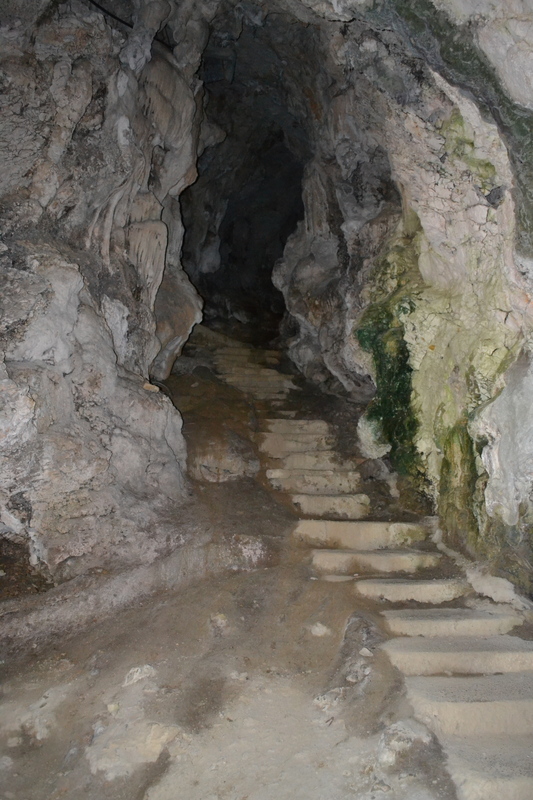 There are some cool parts, like the stairs that lead back into the cave. The wax figures were really strange. They didn’t really make the place seem anymore like a castle, they actually made it seem a little low-budget. As cool as this place looks on the outside, I wouldn’t make a special trip to Slovenia to see it. I think it is worth the extra ten minute drive if you are already in the area to visit the cave, otherwise just watch Ghost Hunters, apparently they went looking for ghosts in the castle. 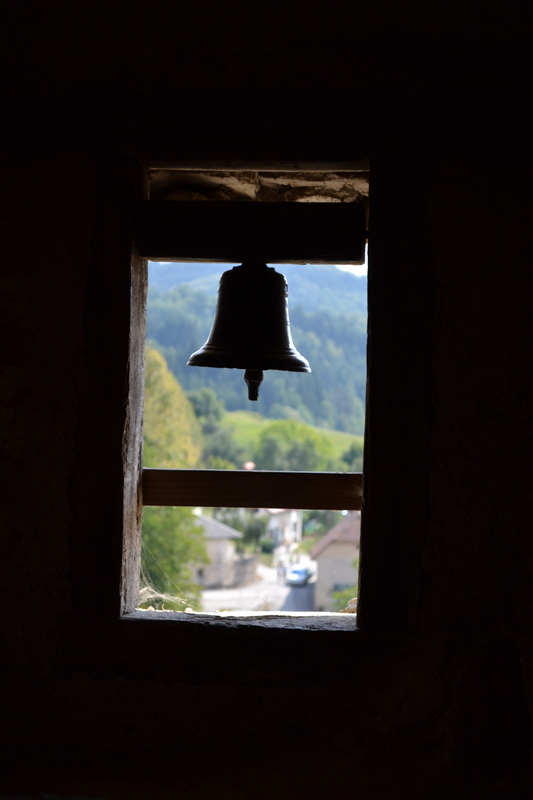 This entry was posted in Uncategorized and tagged Castles, Slovenia, Travel. Bookmark the permalink. Of course we will include reference to you ownership of this picture. We try to make this page as a platform for open and participatory knowledge, aimed at teaching and research. We are aware of the existence of valuable artwork scattered on the web and not listed that should be discussed as a material of high educational value. 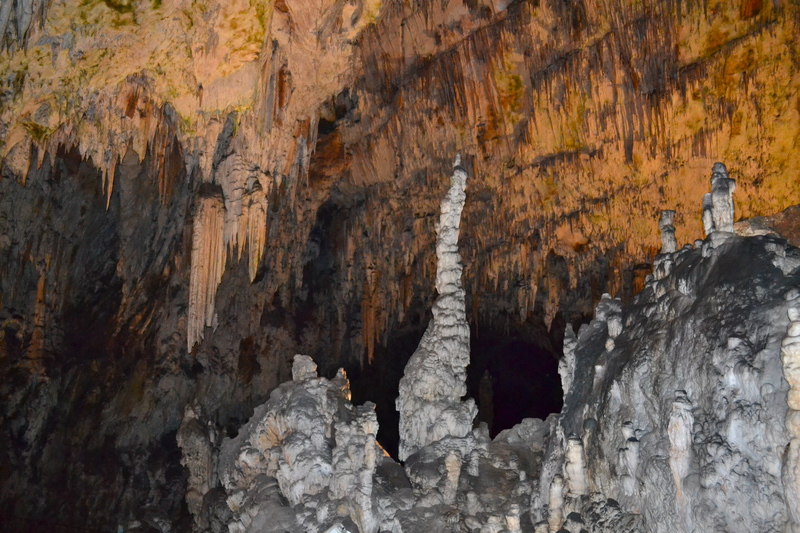 If you authorize us, your photo would be published as an illustrative part of the article: “Geomorphologie-Karst- Exokarst- Cave”, in which you would become part of his coauthors as the owner of the image. We await your response and hopefully be encouraged to join us. Of course you can Jose! Really liked your pictures. But the saying goes at least in America. 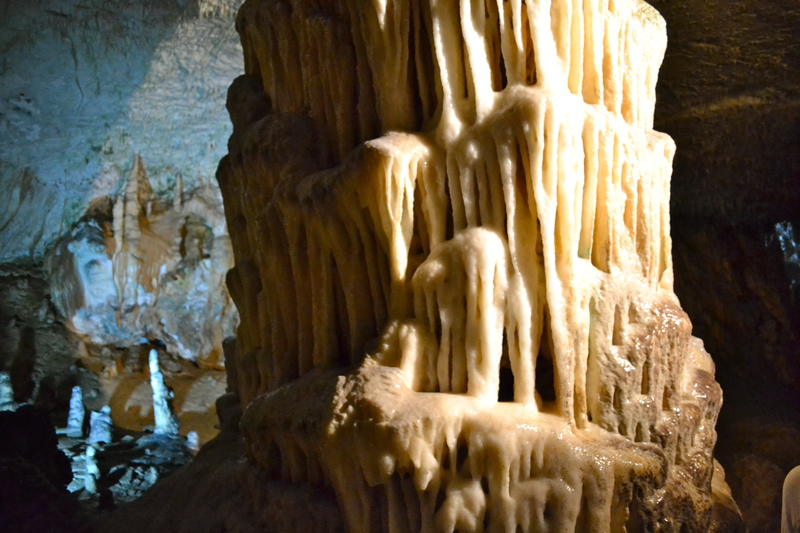 “Stalactites hang tight to the ceiling Stalagmites might reach the ceiling” if they join they are called a column. 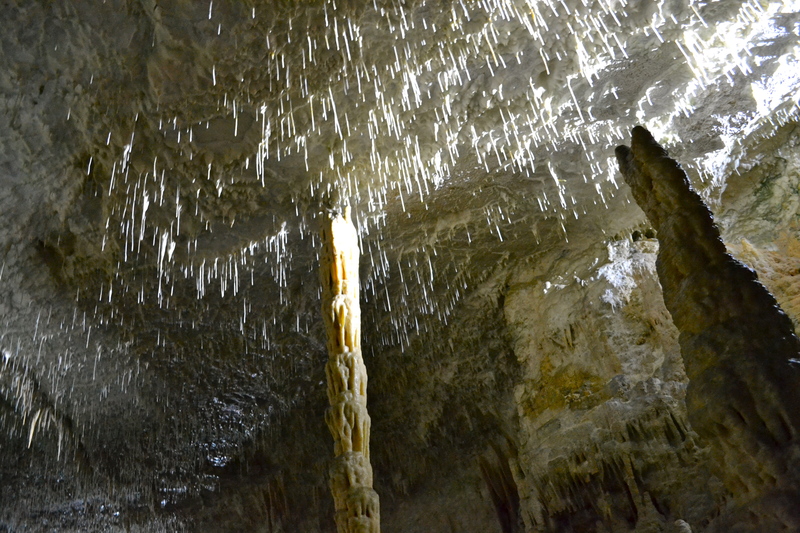 Qualifying as TMI the c in stalactite stands for ceiling the g in stalagmite is for ground. Curtis owner and tour guide at Fantasy World Caverns Lake of the Ozarks, MO for over 30 years.